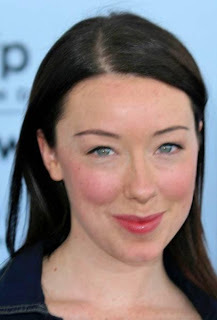 The enchanting Molly Parker is coming back to the rock to star in another film based another Newfoundland author's book. You might recall that she stared alongside Academy Award Winner William Hurt in the acclaimed Rare Birds. This time she will star in a movie called Hold Fast, adapted from Kevin Major's book by the same name. She will be reunited with Rare Birds co-star Andy Jones. She will play the aunt of a young man who is forced to move away from an outport after his parents are killed in a car crash. The film begins shooting next week and is expected to be released in 2013. She played Alma Garet in the critically acclaimed HBO Western series Deadwood which ran for three years. The producers have promised that there will be two more made for TV movies based on the series. Most recently she stared in the NBC series "The Firm", which was not renewed for another season.